The Christian Flag is displayed in many churches across America. It plays a role in many Vacation Bible School programs when students join together in their pledge time each morning during the opening assembly. 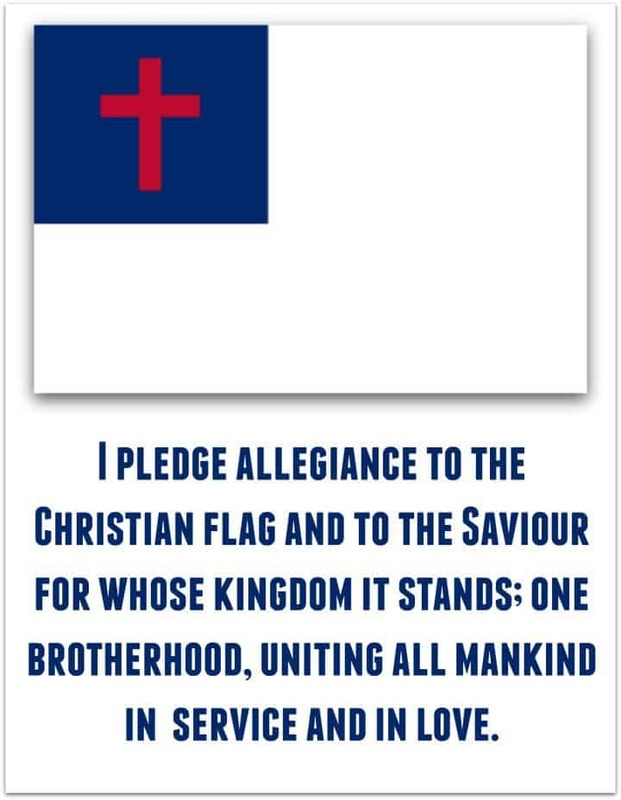 This short verbal affirmation is typically recited along with a pledge to the American Flag and one also to the Bible. Click on the image above to download a PDF version of this printable. If you prefer, we’ve also uploaded a high resolution JPEG version if you need to add it to a PowerPoint slide. For this printable, we’ve chose the original words of the pledge attributed to the Rev. Lynn Harold Hough. It was first used in Sunday School programs dating back to 1908. (Reference, p.417). To learn more about the Christian Flag and its history, read this article on Wikipedia. Our website has free print versions to download of all three VBS pledges – Bible, Christian, and American flag. Don’t miss all our articles and VBS ideas. This is how it should always go. It has the whole salvation message in it. Here’s how I learned it and how we say it at our school. I don’t know the author. 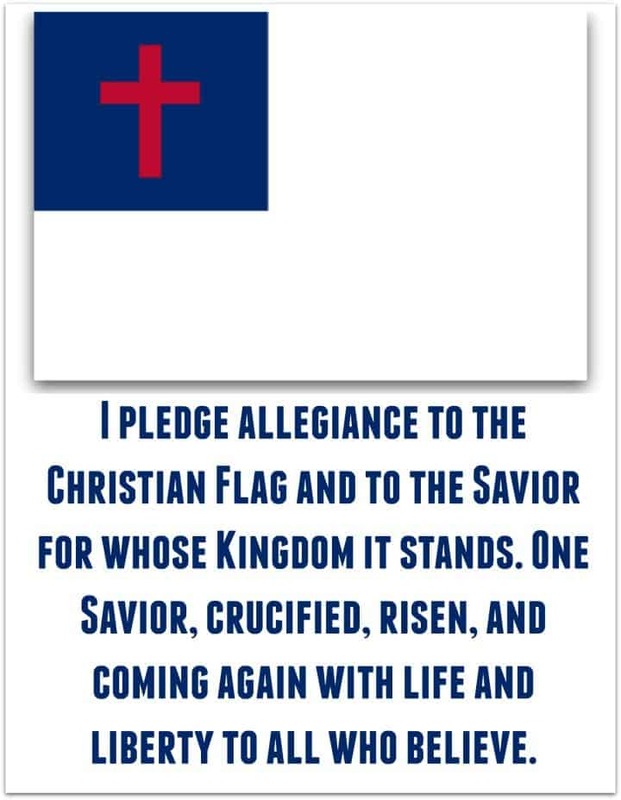 I learned the Christian Flag pledge….the same except after “whose kingdom it stand”….One Savior, crucified, risen, and coming again with life and liberty to all who believe. Tony Kummer (Editor) reviewed & updated this page on : August 16, 2016 at 8:59 pm. All our content is peer reviewed by our readers, simply leave a comment on any post suggest an update.